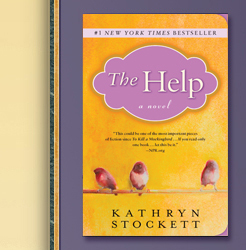 By now you’ve heard about Kathryn Stockett’s novel and recently released film “The Help.” The story looks at the lives of African American maids and the white women they serve in Jackson, Miss., in 1960. Stockett has obviously hit a nerve. Her book is currently number one on the New York Times’ combined print and e-book best seller list. The movie opened last weekend number two behind “Rise of the Planet of the Apes” by earning $25.5 million. was dismissed on Aug. 16. This fascinating and still unfolding melodrama over Southern culture circa 1960 has me wondering. Who are “the help” in today’s society? I didn’t live in that time or place, and frankly, I don’t have much of a connection to that era. I’m reading the book now – a year after my wife insisted I read it. I’m nothing if not prompt. If I do see the movie (having three children under age 10 has limited my movie-going to animated or family-friendly fare) it will only be after I’ve finished reading the book. I’m biased toward authors, but I don’t ever want to see a film treatment of a subject until I’ve read the author’s intent first. I don’t know if the book or movie will change my perspective. Personally, I have a hard-wired aversion to being helped in any way. I simply don’t like to be waited on. Friends and family will attest that I am stubbornly resistant to assistance. Call it hubris, call it humility, call it unsocial, but I don’t like to trouble people. I would rather do it for myself. I love self-checkout at the grocery store. I prefer to stay in hotels where I can carry my own luggage. When I go to a restaurant, I want to park my own car. Those rare times when I do receive assistance, I put it in my mental checklist of people to whom I owe favors. Yes, it’s sick and a little crazy. This personality quirk, though, makes me attentive to those who help me. I tend to over-tip wait staff. I am overly grateful when help is extended. I try to recognize and affirm those who make their livelihood by serving others. 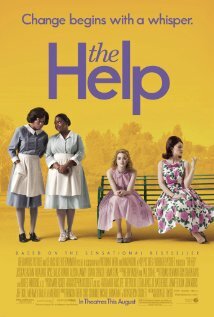 I don’t know how accurate “The Help” is or whether the criticism is justified. I do know that I am grateful for all the help I receive and strive to recognize the humanity in everyone. Heaven forbid someone writes a book 50 years from now about the way we’ve treated our “help” in 2011. We would all do well to remember that helpers are people, too, just like us. This entry was posted in Uncategorized and tagged Ablene Cooper, Association of Black Women Historians, bestsellers, Bo Prosser, Help, helpers, Jackson, Kathryn Stockett, Lance Elliott Wallace, Lance Wallace, lawsuit, Mississippi, New South, New South Essays, NewSouth, South, Southern Culture, Southern history, Southern trends, The Help, the South. Bookmark the permalink. Loved the book, haven’t see the movie. I did grow up in rural georgia during this time. Things were different during that period in of time. We had outside help on my dad’s farm and occasional help in the house. Our helpers were treated well and we were so fond of them and played with their children. Most of them were black, but we did have a white family that had moved from California that help us. I was one of 6 children and it was mostly us kids that were the help on my daddy’s farm and in our home.